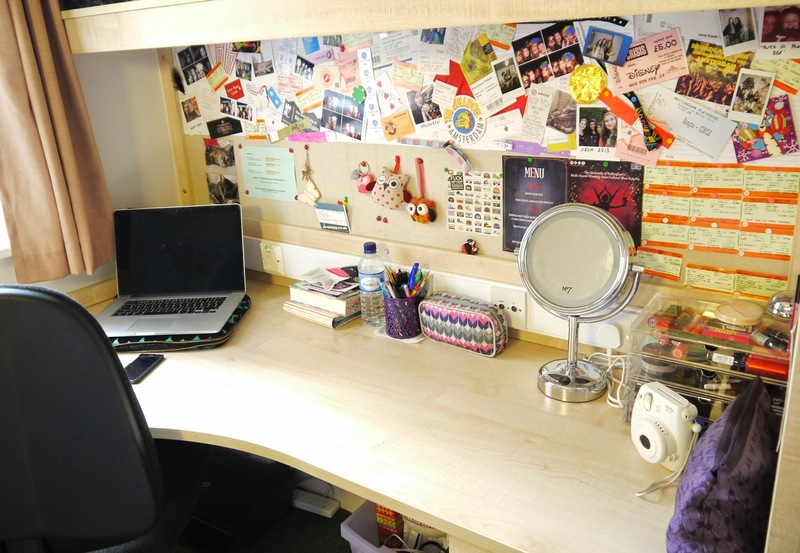 Today I thought I would show you some pictures of my room at university, in September I shall be moving into a student house so will have a different room. My room was ensuite and on the ground floor right by the entrance to my block. This was slightly annoying when people decided to make a load of noise at 3am on the way back from a night out but I invested in some ear plugs so I didn't have to listen to any more drunken conversations! Under my desk area I kept my printer, laundry basket and a little draw unit that had cleaning stuff in and towards the end of the year ended up being the home of loads of random things that I shoved there as there was nowhere else to put them. At the start of the year I just had photos I'd printed on my notice board but once I started to collect little keepsakes over the year like tickets I decided to make a kinda collage on my notice board of all the things I had done in the year. Along with pictures of my cats of course (self confessed crazy cat lady)! 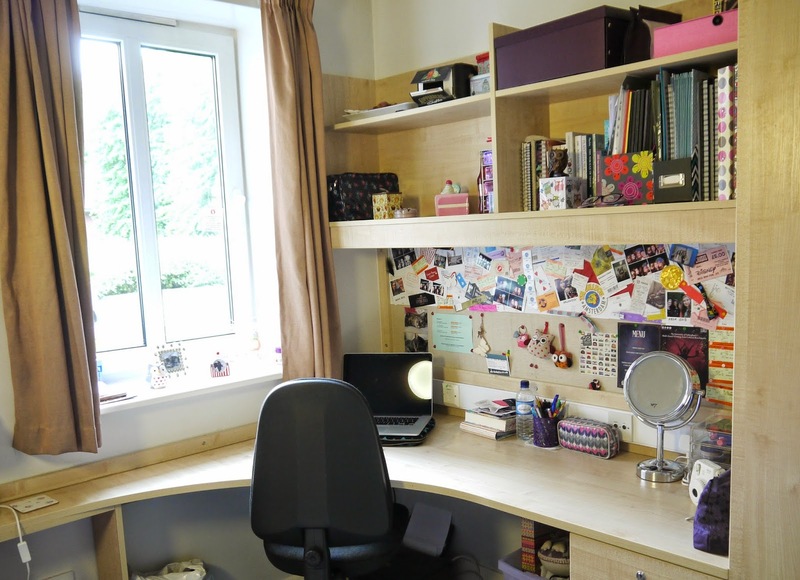 This shelf was were I kept all of my uni work and books along with books to read in my spare time which I didn't ever get round to reading. 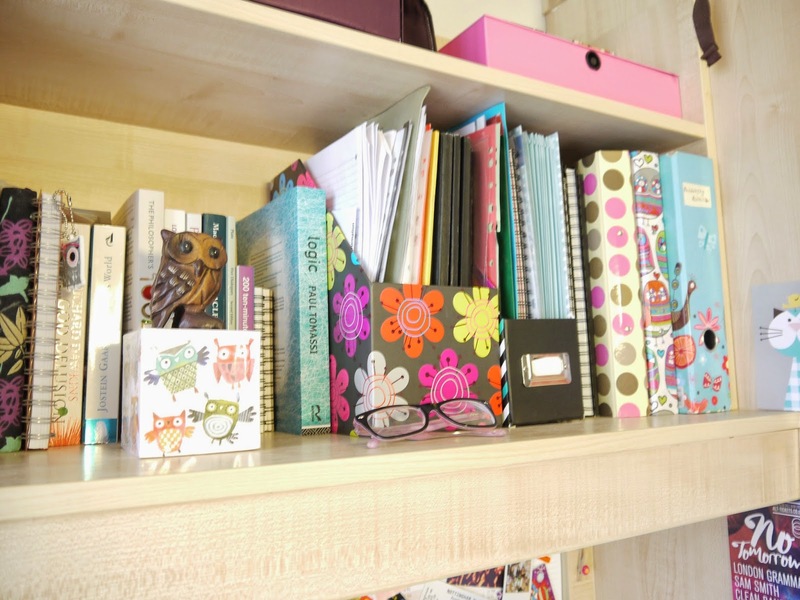 You may also have spotted quite a few owl related products! At the start of 1st year I just kept all my makeup in a large makeup bag but after Christmas I decided to invest in some Muji storage, I'm so glad I did as it's a great way to organise my makeup and quite a few people have said how neat and tidy it looks. 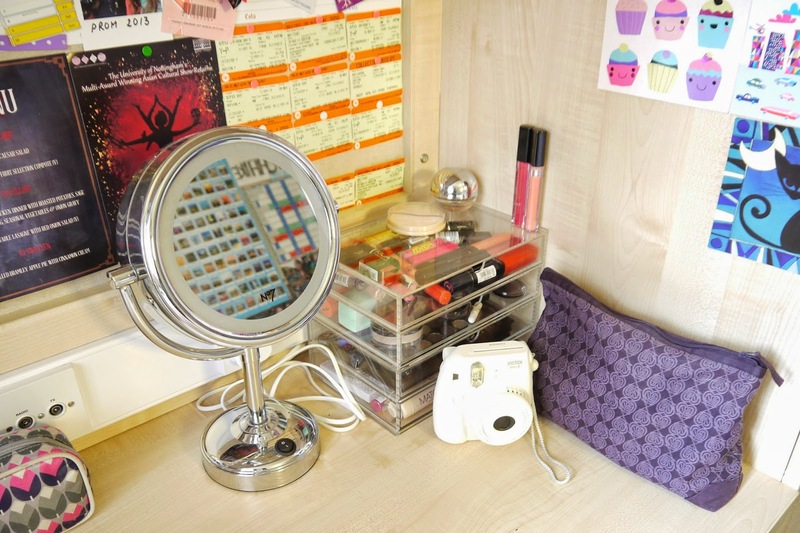 I also keep my No.7 mirror on my desk for doing my makeup, the light comes in especially handy for nights out and I'll definitely be using it more next year as we'll all be fighting over the bathroom mirror when we go out! Near the door I had a large notice board where I had a term calendar, poster and photos. 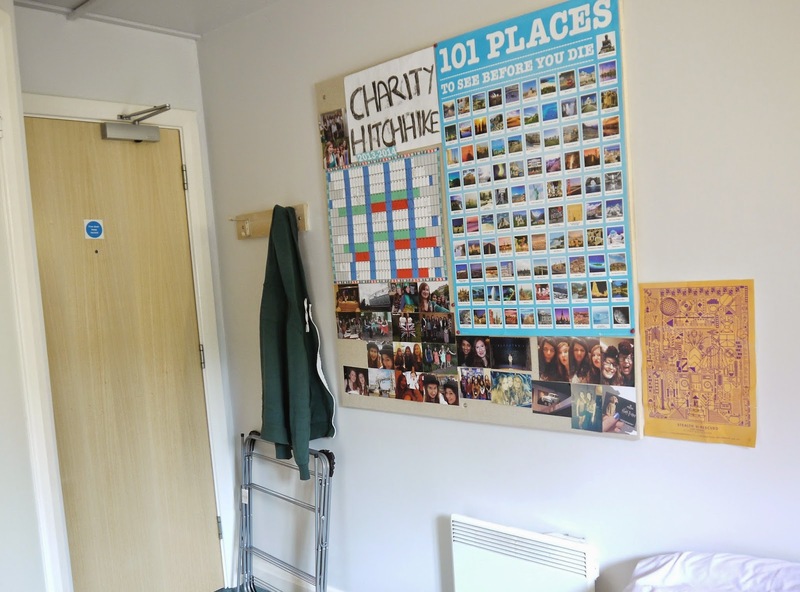 I blue tacked the photos on as I didn't have enough pins but they were always falling down! I'd definitely recommend taking lots of photos as it's a great way to fill up space and make your room feel more like home. 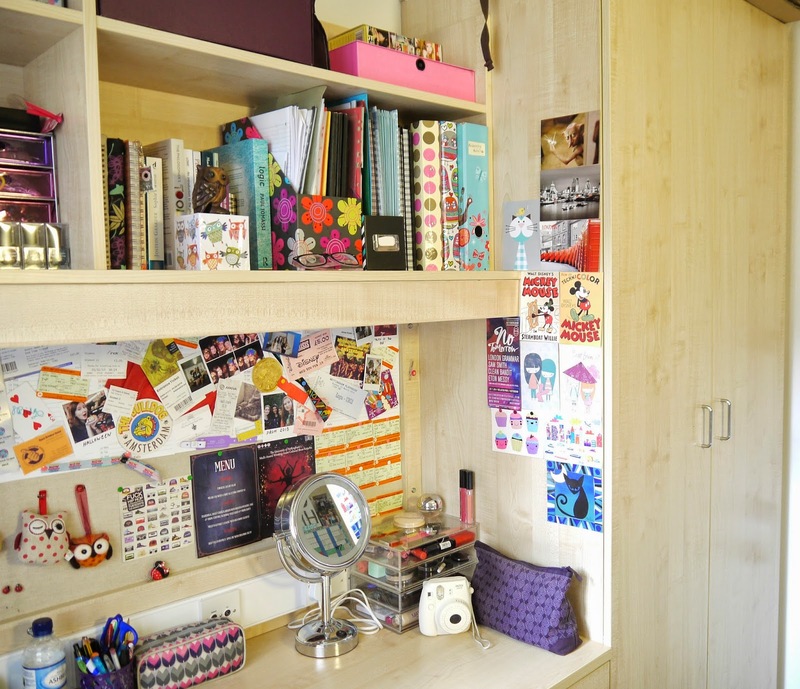 All in all I'm going to miss my little uni room next year and my ensuite! In September I'll probably do a room tour of my new room. 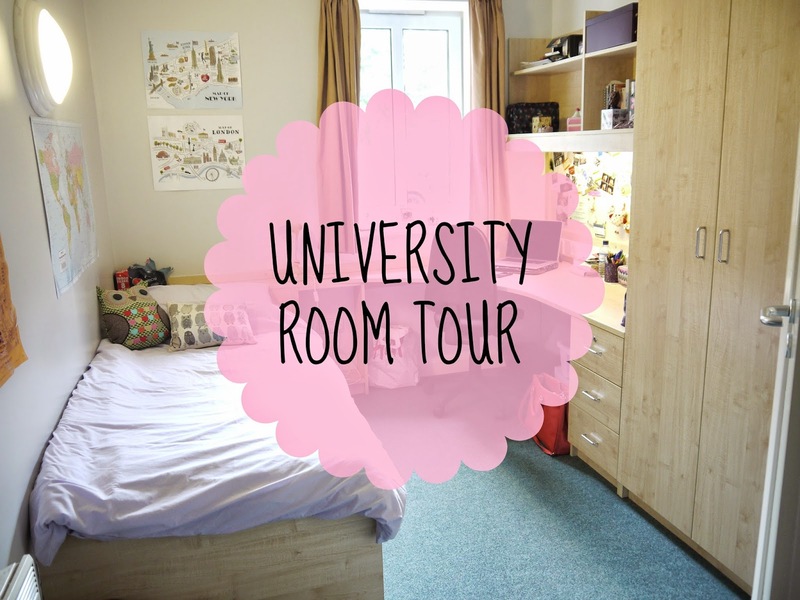 If you have any university room tour posts I'd love to read them, they're always a good place for inspiration so leave me links. 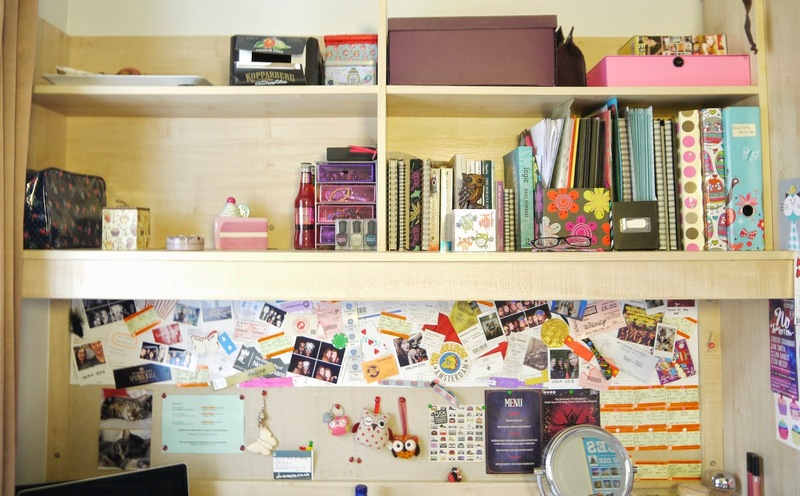 your room is so inspirative! love it <3 I'm following you now on Bloglovin!